According to the tariff plan, subscribers to the tariff plan are provided with unlimited access to the Internet at a speed of up to 1 Mbit/second for UAH 119/30 days. The company used to render services on two unlimited tariff plans — FreshMAX (access speed up to 20 Mbit/second for UAH 180/30 days) and FreshDAY (access speed up to 20 Mbit/second for UAH 10 per day). As Ukrainian News earlier reported, Ukrainian High Technologies company, which renders services under the FreshTel brand, on 16 January 2010 launched 4G mobile Internet WiMAX network in Kyiv and Kyiv region. The Ukrainian High Technologies company is the operator of wireless communications under the WiMAX technology. The network of the Ukrainian High Technologies company of 802.16d standard operates on frequencies of 3.4-3.6 GHz. 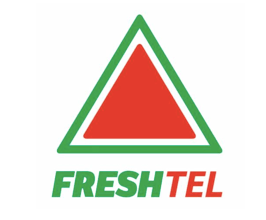 In January 2010, the Ukrainian High Technologies company put into operation a new network under the WiMAX technology (standard IEEE 802.16e) under the FreshTel brand.